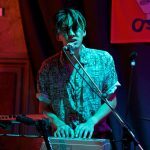 Finding out just what it is that make a crowd move, Getintothis’ Ryan Craig checks out Oscar on his debut album tour. 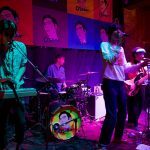 Once a recording studio for Echo and the Bunneymen, The Smiths, Coldplay and Bjork, the revamped Studio 2 on Parr Street was now to play host to another night of live music. First to perform were guitar heavy band WIFE, who opened up to a mostly empty room but that had no impact on their performance. WIFE meant business. They oozed grunge – from their look to their sound. Singing, playing, moving and pretty much owning the stage as the crowd opted for simple head bobbing rather than the more suitable head banging. 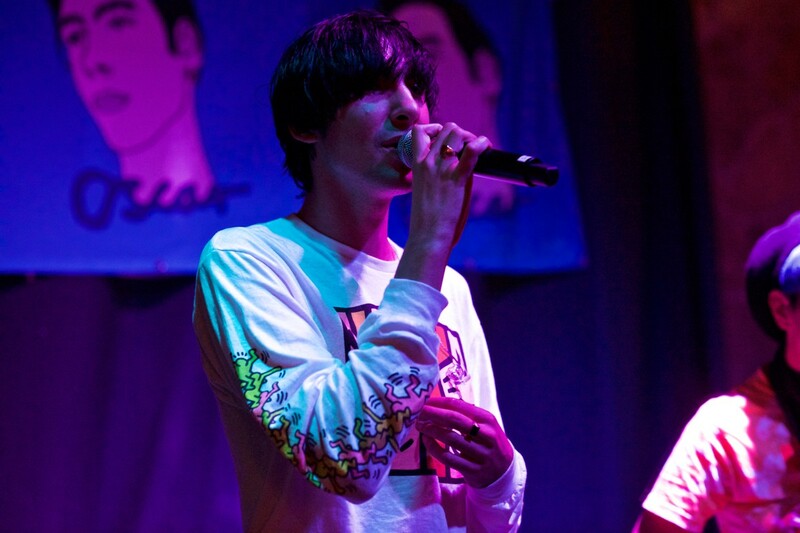 A single hiccup occurred mid set when a microphone screeched a less than pleasant robotic sound. No fault by the band, however. A few grumbles from the sound engineer with a couple of test “one two’s” and WIFE were back under way, in no way being put off as they continued as if performing to thousands. 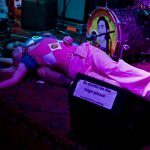 As the venue continued to gather more bodies, it was now time for Liverpool’s very own five piece, White Cliff. Although they’re a self- proclaimed “indie-rock” band, a more fitting description would simply be “pop band”. With a quick apology to the ever-growing audience for their lateness to the stage, the band gets into the swing of their first song. Front man Oliver Nagy‘s vocals gave a sort of early Kings of Leon vibe, which, depending on your outlook could be good or bad. The smooth transitions between each song made for better listening all round, as the group knew exactly how to perform live. A sort of practice for their Germany tour in October. Check out who else has played at Studio 2, here! 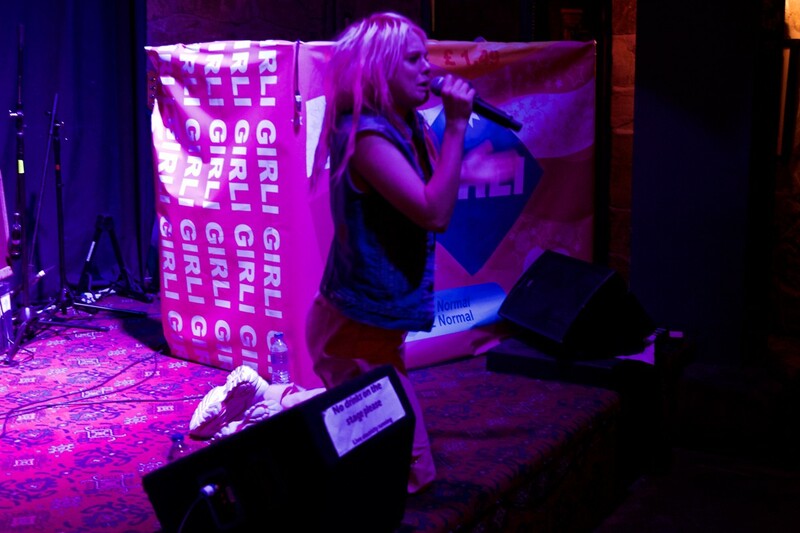 Female rap duo Girli, brought arguably the most energy to the stage and it transferred through the audience. Think a more explicit version of Let’s Eat Grandma. With the duo rapping about losing your friends at parties, meeting people online and of course, all those silly boys who will break your heart. 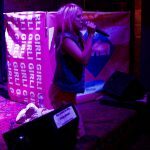 Acting out their lyrics with slow motion fights and gestures, Girli had the crowd in their control and even joined the audience at one point as they proved not to just be stage bound. 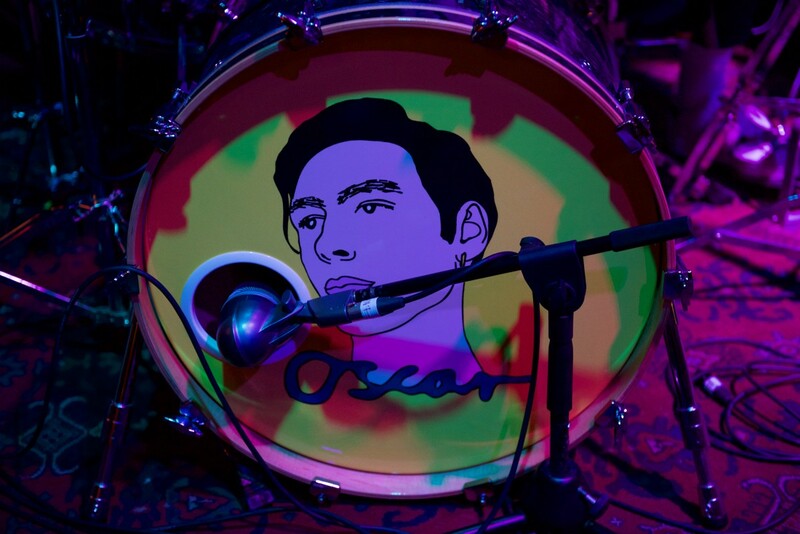 The time had now arrived for the main act, Oscar Scheller himself, or simply referred to as just Oscar. After many thank you’s to the audience for sticking around the show began. 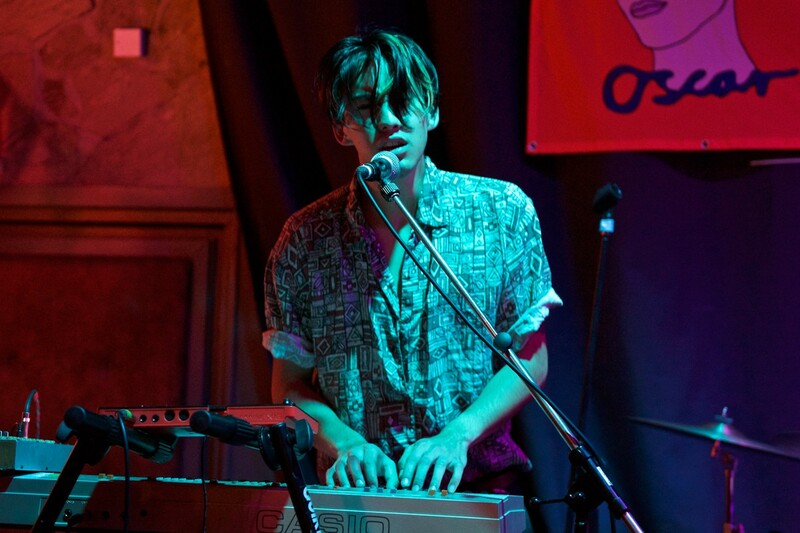 The release of his debut album Cut and Paste saw a rise in popularity for the Londoner. His cheeky chappy demeanour visible through many of his songs as he sings about breaking phones and breaking hearts. The song Good Things is what got most movement from the crowd. The melancholy undertones of the song sit perfectly with Oscar’s deep, moving voice. 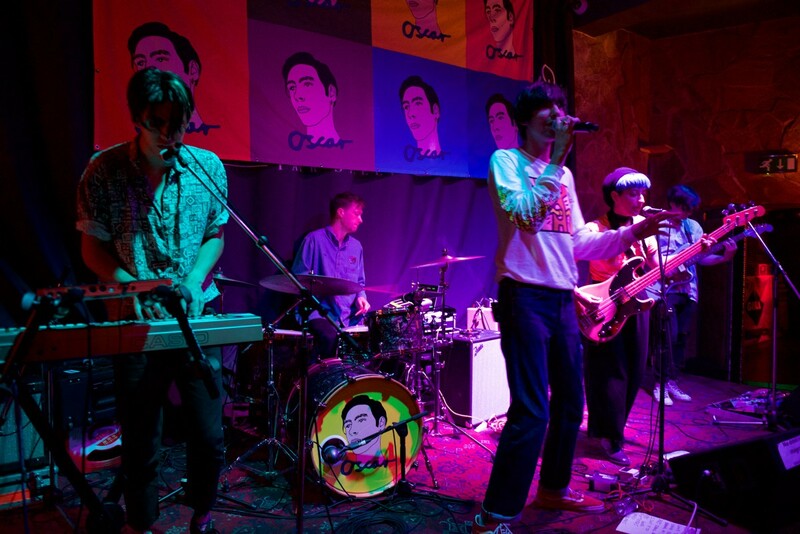 A band that spring to mind, when listening to the tales of Oscar, is Blur, often similar in both style and storytelling ability with witty lyrics which seem most prominent in the song Sometimes. 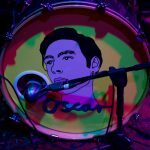 With many of the tunes tinged in guitars and the throwback style of play, Oscar is able to provide something more than his contemporaries. 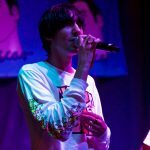 Conversing with the crowd between each song, being truly thankful for those that came to support him and best of all, creating a sound that both relates and resonates within. Many more thank you’s were said before the set came to a close and the crowd dispersed. Some stuck around as Oscar happily took photo’s with anyone who asked. What a guy. Pictures by Getintothis’ Gaz Jones.